It is always necessary to book your yoga class or treatment in advance through our online booking system. 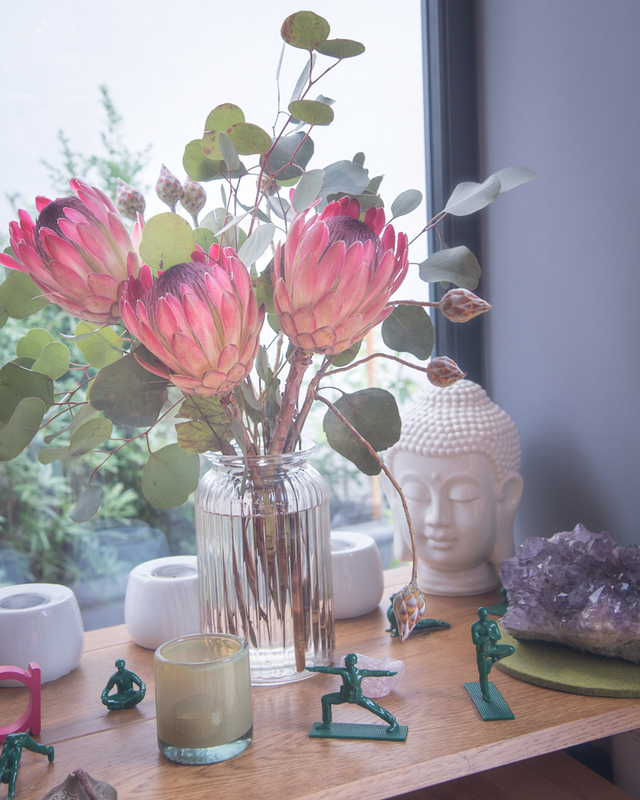 FLOW runs a full yoga and treatment schedule during term times, a reduced yoga schedule and full treatment schedule during holiday times and is CLOSED during public holidays. NB: All yoga classes have an expiry date of 1, 3 or 6 months depending on the package. Information published on this website is provided for the use of its visitors and you are advised that, although care has been taken to ensure technical and factual accuracy, some errors may occur. No guarantee is given of the accuracy of information on these pages. 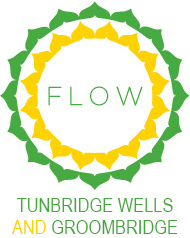 Please be aware that Flow Tunbridge Wells may alter the information on its website from time to time. Flow Tunbridge Wells does not warrantee the information on its website in any way and in particular no warranty is given that the website or its contents or hypertext links are virus free or uncontaminated. You are advised to make your own virus checks and to implement your own precautions in this respect. Flow Tunbridge Wells exclude all liability for contamination or damage caused by any virus or electronic transmission. Payment for all yoga classes and workshops must be received at the time of booking. Payment for all private yoga, structural stability and treatments appointments must be received at the end of the appointment unless agreed prior to the appointment with the practitioner responsible. Credits purchased for classes and workshops are available for use until their expiration date and are non-refundable. Credits purchased for classes and workshops of a particular length are not transferable to classes and workshops of a different length. Cancellations within 24 hours of a yoga classes will not be refunded. Cancellations prior to 24 hours of a yoga classes will receive a credit towards a future class based on availability and similar cost. Cancellations within 24 hours of a private yoga class will incur a full fee charge. Cancellations prior to 24 hours of a private yoga class will not incur a charge. Cancellations within 24 hours of a structural stability appointment will incur a full fee charge. Cancellations prior to 24 hours of a structural stability appointment will not incur a charge. Cancellations within 7 days for workshops will not be refunded. Cancellations prior to 7 days of a workshops will receive a credit towards a future workshop based on availability and similar cost. The cancellation policy for individual courses varies and is usually stated in the course description. Please see our Book Workshops & Courses page for details. If no alternative policy is stated, our default policy is the cancellations within 14 days of the start of a course will not be refunded and cancellations prior to 14 days of the start of a course will be refunded in full. Cancellations within 24 hours of a treatment appointment will incur a full fee charge. Cancellations prior to 24 hours of a treatment appointment will not incur a charge. Cancellations within 60 days of the start of a Flow Away event will not be refunded. Cancellations between 60 and 89 days prior to the start of a Flow Away event will be refunded 25% of the full price including room upgrade fees (any discount received on the full price is revoked in this calculation). Cancellations within 90 days of the start of a Flow Away event will be refunded 50% of the full price including room upgrade fees (any discount received on the full price is revoked in this calculation). Cancellations prior to 120 days of the start of a Flow Away event will be refunded the full fee minus £250 for Flow Away events outside the UK and £150 for Flow Away events in the UK. Cancellations at any time due to Acts of God are not refundable. Refunds for classes, workshops and appointments attended will be given only at the discretion of the teacher/practitioner responsible. 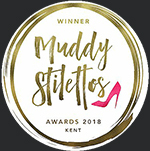 In the event that a yoga class or workshop is cancelled by Flow Tunbridge Wells, the purchase value of that class or workshop will be available to put towards a future class or workshop of the same purchase value. This is does not include cancellations which are due to Acts of God. 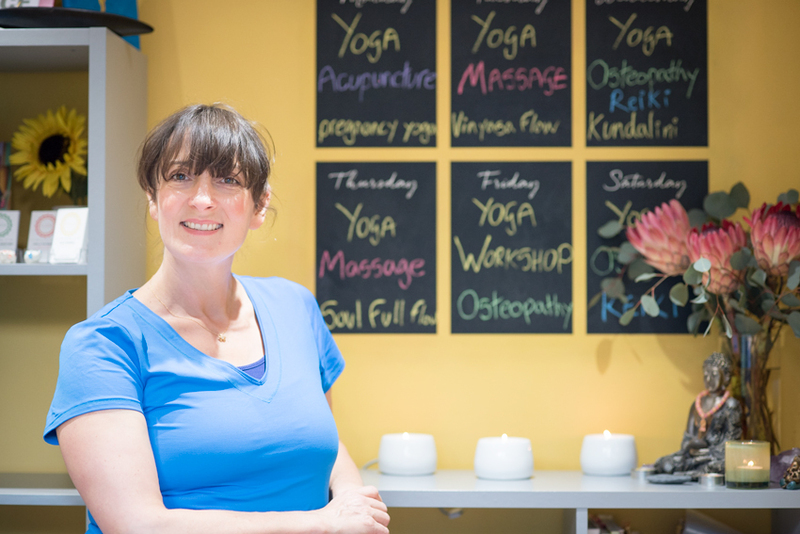 Flow is a yoga studio and treatment centre providing yoga classes and osteopathic treatment to the general public. We also offer workshops, training courses and other treatments which we feel are of interest to our clients. The Osteopaths at Flow diagnose and treat health conditions. Treatments are carried out in accordance with the Institute of Osteopathy’s patient charter http://www.iosteopathy.org/osteopathy/the-patient-charter/. The practice may also provide other treatments, about which our staff will be pleased to provide more details. a) Contact details provided by you such as telephone numbers, email addresses, postal addresses and details of past and future bookings and purchases made at Flow may be used to confirm or remind you of future appointments and bookings at Flow and provide reports or other information concerning those visits. b) Credit or debit card information may be stored in an encrypted form to facilitate payments for classes and appointments. This information is only visible to Flow in an incomplete form (i.e. the last 4 digits of your card number) and can be removed at any time buy editing your profile online via the Flow website, or by emailing or phoning the practice using the contact details provided at the end of this Privacy Notice. Payments will not be processed on your behalf by Flow without your prior consent. c) For the purposes of providing treatment, our Osteopaths may require detailed medical information. We will only collect what is relevant and necessary for your treatment. When you visit our practice, we will make notes which may include details concerning your medication, treatment and other issues affecting your health. This data is always held securely, is not shared with anyone not involved in your treatment, although for data storage purposes it may be handled by pre-vetted staff who have all signed an integrity and confidentiality agreement. To be able to process your personal data it is a condition of any treatment that you give your explicit consent to allow Flow to document and process your personal medical data. As part of our obligations as primary healthcare practitioners there may be circumstances related to your treatment, on-going care or medical diagnosis that will require the sharing of your medical records with other healthcare practitioners e.g GPs, consultants, surgeons and/or medical insurance companies. Where this is required we will always inform you first unless we are under a legal obligation to comply. d) For marketing purposes, the Flow may also use the contact details provided by you to respond to your enquiries, including making telephone contact and emailing information to you which the practice believes may be of interest to you. e) In making initial contact with the practice you are given the option to consent to Flow maintaining a marketing dialogue with you until you either opt out (which you can do at any time) or we decide to desist in promoting our services. Flow may occasionally also act on behalf of its clients in the capacity of data processor, when we may promote other teachers and practitioners based at our premises, who may not be employed by us. Flow does not broker your data and you can ask to be removed from our marketing database using the unsubscribe option on our emailed newsletters, editing your preferences online via the Flow website, or by emailing or phoning the practice using the contact details provided at the end of this Privacy Notice. f) Some basic personal data may be collected about you from the marketing forms and surveys you complete, from records of our correspondence and phone calls and details of your visits to our website, including but not limited to, personally identifying information like Internet Protocol (IP) addresses. h) Flow will only collect the information needed so that we can provide you with the services you require, the business does not sell or broker your data. To promote yoga, meditation and mindfulness classes for clients to support their health and well-being and treatments for clients with all types of health problems indicated for osteopathic care. Through agreeing to this privacy notice you are consenting to Flow processing your personal data for the purposes outlined. You can withdraw consent at any time by using the postal, email address or telephone number provided at the end of this Privacy Notice. Flow will keep your personal information safe and secure, only staff engaged in providing osteopathic treatments will have access to your patient records, although our teachers, other practitioners and administration team will have access to your personal details as specified in 3 a) and b) above so that they can make appointments and manage your account. Flow will not disclose your Personal Information unless compelled to, in order to meet legal obligations, regulations or valid governmental requests. Flow may also enforce its Terms and Conditions, including investigating potential violations of its Terms and Conditions to detect, prevent or mitigate fraud or security or technical issues; or to protect against imminent harm to the rights, property or safety of its staff. Flow will process personal data during the duration of any service or treatment and will continue to store only the personal data needed for eight years from your last visit to meet any legal obligations. After eight years all personal data will be deleted, unless basic information needs to be retained by us to meet our future obligations to you, such as erasure details. Records concerning minors who have received treatment will be retained until the child has reached the age of 25. Flow uses the services of various data processors to facilitate the services we provide. These are MindBody Online, Evernote, Dropbox, Exercise Prescriber and Constant Contact. In cases where your personal data is stored outside of the EEA, Flow has ensured that the data processor has signed the EU-US Privacy Shield thereby ensuring compliance with the GDPR legislation. In the event that Flow refuses your request under rights of access, we will provide you with a reason as to why, which you have the right to legally challenge. At your request Flow can confirm what information it holds about you and how it is processed. Identity and the contact details of the person or organisation (Flow) that has determined how and why to process your data. If the processing is based on the legitimate interests of Flow and information about these interests. Flow will accept the following forms of identification (ID) when information on your personal data is requested: a copy of your driving licence, passport, birth certificate and a utility bill not older than three months. A minimum of one piece of photographic ID listed above and a supporting document is required. If Flow is dissatisfied with the quality, further information may be sought before personal data can be released. All requests should be made to ben@flowtunbridgewells.com or by phoning +44 (0) 1892 671764‬ or writing to us at the address further below. In the event that you wish to make a complaint about how your personal data is being processed by Flow you have the right to complain to us. If you do not get a response within 30 days, you can complain to the ICO.